Fostering creativity is one of the most important tasks of parenthood. As with all abilities, starting young is the best way to ensure proficiency, and dress-up is one of the most fulfilling ways to explore the arts from an early age. 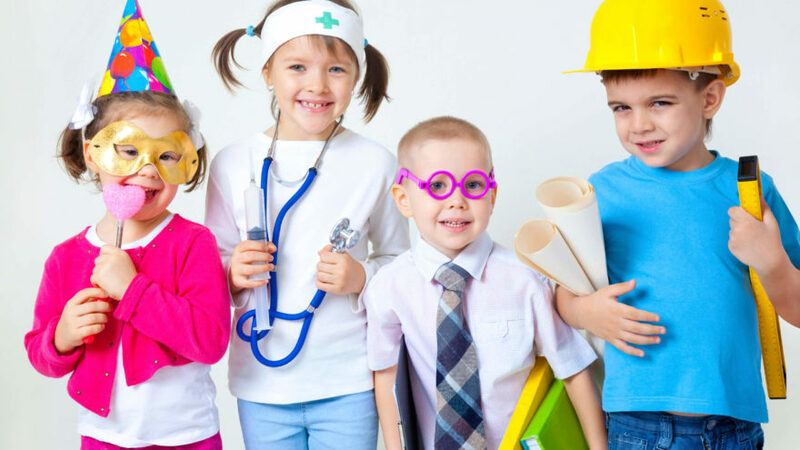 Dress-up allows a child to enact many different roles, and to explore everything that goes into character and set development. Whether this means acting, or more behind-the-scenes tasks, a child can gain an incredibly valuable and diverse skill set through make-believe. Over the years, these proficiencies may make for a very rewarding career! Read on to see the many different types of artists who benefit from playing dress-up as a child. Choosing, or even making outfits from scratch for dress-up inspires a passion for clothing in children. This gift of garb may make for a successful career as a costume designer. Sound too limited? Consider fashion’s broader applications with these careers: fashion designer, seamstress, model, clothing brand manager, celebrity stylist, buyer, weaver, or knitter. All of these professions carry one thing in common: a love for fashion. While dress-up does not necessarily require the application of actual makeup, a good dress-up session often incorporates the use of face paint or even use of a children’s makeup kit. No matter one’s stance on makeup on children, it is easy to appreciate that a lot of creativity goes into its application. While playing dress-up at an early age, a child may develop a passion for makeup application, a skill that many have fueled their entire careers with. Theater and celebrity makeup artists alike realize that their art requires near-perfect fine motor skills and a keen artistic eye, things best mastered early in life. Playing dress-up is, of course, more than just dressing up. It’s taking on the personality of the character you are portraying. Pay attention next time your child is playing make-believe. Are their mannerisms different than normal? Do you behave and talk like someone else? If so, you may realize that they are actually acting, and they may have themselves a future on Broadway or television! What happens after children dress up? A plot starts to develop. Some of the tales children end up telling through play are incredibly imaginative, and often surprisingly complex. Though it may just seem like fun and games, your child may actually show a gift of storytelling during dress-up. This passion, when harnessed, can power a career in screenwriting, journalism, reporting, or writing novels. While not all dress-up involves music, I’ll bet you’ve noticed a lot of the characters your child chooses to dress up as are from musicals. Elsa from Frozen? Moana? When it comes to make-believe, sometimes a song is a necessity. And who knows? You may have the next Auli’i Cravalho or Idina Menzel on your hands. And if they love music but don’t exactly have perfect pitch? Allow their love for music flourish, and you might have a star-cellist or pianist developing before your very eyes. Every good musical has a dance number! If your child’s dress-up sessions involve either re-enacting or creating musicals, it will likely involve the art of dance. If they truly love and master the art, they may become a professional dancer, gymnast, or ballerina down the line. Even if they don’t make a profession of it, they will have learned a very valuable skill (and will make wonderful wedding guests!). Furthermore, dance is a very healthy form of exercise and encourages the development of gross motor skills. You can’t have a dance without choreography. When children create dance routines, one child often becomes the natural lead. They may teach their peers dance techniques, or thread different moves together to create a whole number of their own. Regardless, dance encourages multiple forms of artistic expression from dance itself to choreography, as well as understanding of rhythm. Perhaps your child is more introverted. There’s certainly nothing wrong with that! There are many opportunities in the arts that do not involve standing in front of a large crowd. Every good dress-up session has a set. Is the background drawn, painted, or otherwise built? If your child is playing alone and, did they make the other character out of paper dolls or puppets? Did they make the props? Mastering these creative tasks may lend oneself to a successful career in the fine arts. Often during dress-up sessions, one child naturally takes charge. This may involve designating who plays which role, what direction the plot will take, and what tools or props are necessary to bring the scene to life. These actions are not all that different from those of a director. A child who masters this role early on may find him or herself sitting in a fancy director’s chair down the line! Some children simply love to make others laugh (class clown anyone? ), and this is no different in dress-up. During make-believe, children may discover a passion for comedy, something that can carry them far both socially and professionally. Many times children want an audience when they play dress-up. They may reach out to family members or other children in order to get a group together to watch their performance. Who else builds an audience? An advertiser or marketing professional. Though not necessarily considered “traditional arts”, these careers require the gift of creativity, something that may be initially learned through dress-up play. Though dress-up encourages creative skills that are vital to many artistic careers, one does not need to become an artist to benefit from creative expression. Children who express themselves artistically are better adjusted both socially and emotionally. Furthermore, the arts encourage multiple forms of development, including fine and gross motor skills, language development, visualization, cooperativity, inventiveness, and cultural awareness. It goes without saying then, that dress-up is a wonderful way to encourage personal growth. Play with them: Parents can encourage children to play dress-up in several ways. 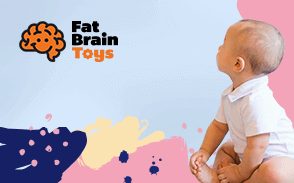 If your child is not already playing make-believe, it may help to play with them first. This is especially important for children who are earlier on in social development, and may not yet have or be completely comfortable with their peers. Just don’t give them too much direction; allow them to take the lead! Alternatively, if your child is old enough (think preschool on), you may consider inviting other children his or her age over, so they can engage in make-believe play together. Get creative: Don’t feel like you need to spend a lot of money on dress-up costumes for your children, who will likely outgrow them soon anyway. Get creative and show them ways they can create costumes out of clothes you already have. Have fun! Now sit back and enjoy as your child genius masters the incredible art of expression!